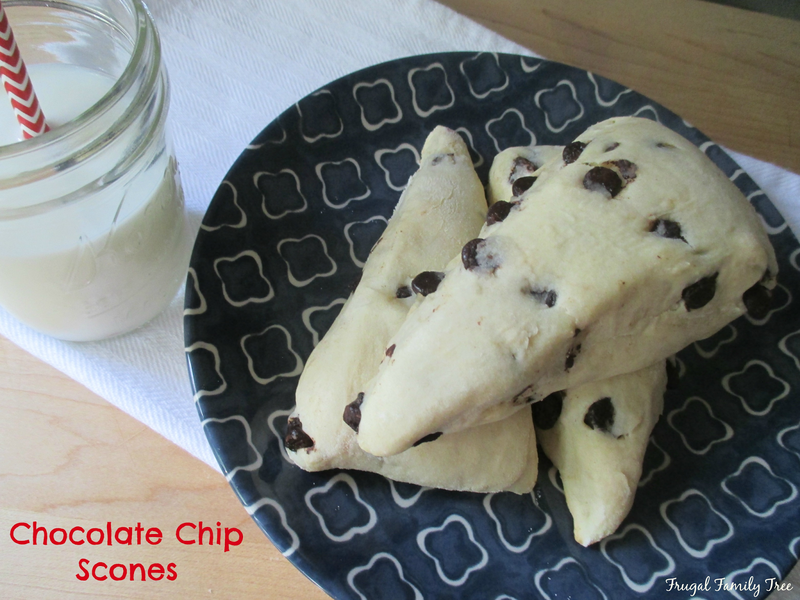 When I say these scones are melt in your mouth delicious, I'm not kidding. I've never made scones before because they seemed like a lot of trouble, and some of the ones I have eaten in bakeries have tended to be dry. But my family and I love baked goods in the mornings, especially on the weekends when we have more time to enjoy them. 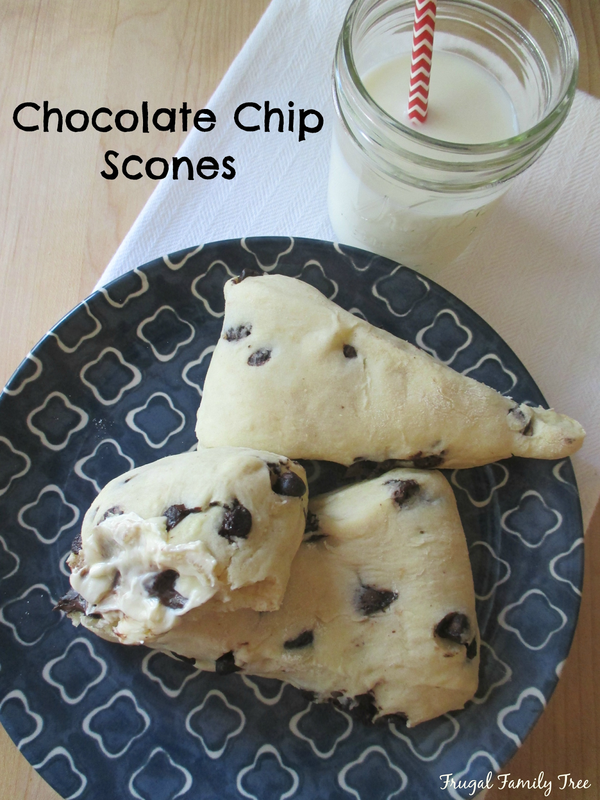 So I decided to give these Chocolate Chip Scones a try, and I'm so glad I did. I don't know if it made any difference, but I made the dough and then let it set overnight in the refrigerator, instead of just an hour. It's simple to roll it out into a narrow rectangle, and then cut it free-hand into triangles. The dough could also be used to make other kinds of scones, and I'm thinking that cranberries and walnuts would be delicious together, too. I can see myself bringing these to a friends' house to enjoy with coffee soon. And wouldn't it be nice to bring them to your child's teacher as a thank you for all their hard work? These are just so yummy, and so worth the time it takes to make them. They are also wonderful when they are reheated in the microwave the next day, with a little butter. When ready to bake, on a floured surface, roll dough out in a rectangle shape, 1/2 inch thick and 4 inches wide. With a knife, cut the dough into triangles. Bake for 18-20 minutes.